The final act of “The Last Will and Testament of Charles Xavier” comes to a close and it leaves more questions rather than answer anything. I admit I was hesitant to actually follow but the inner X-Geek in me wanted to see this through. I’m basically on the fence with both the issue AND the actual story arc. In this issue Xavier’s dirty little secret, an Omega level mutant named Matthew Malloy, continues his breakdown while back in the new Charles Xavier School for Gifted Youngsters, Eva Bell aka Tempus does something that completely changes everything. I have to say that the artwork is amazing. People could hate Chris Bachalo art but the dude brought his A-Game for this. The paneling and the colors are also impressive although we get squat when it comes to action because it’s another trademark Bendis “talky” issue. What I really want to rave about is how it ended. It’s obvious that Bendis is finally moving things towards Uncanny X-Men # 600 with the disillusionment of a key character. You can’t help but feel that this was a deus ex machina story what with Tempus doing something that will have ramifications. Whatever eyebrows were raised in the first part of the story will get back in place but you kind of feel like you’re just not getting your money’s worth. I’m not even a jaded X-fan when I say this. 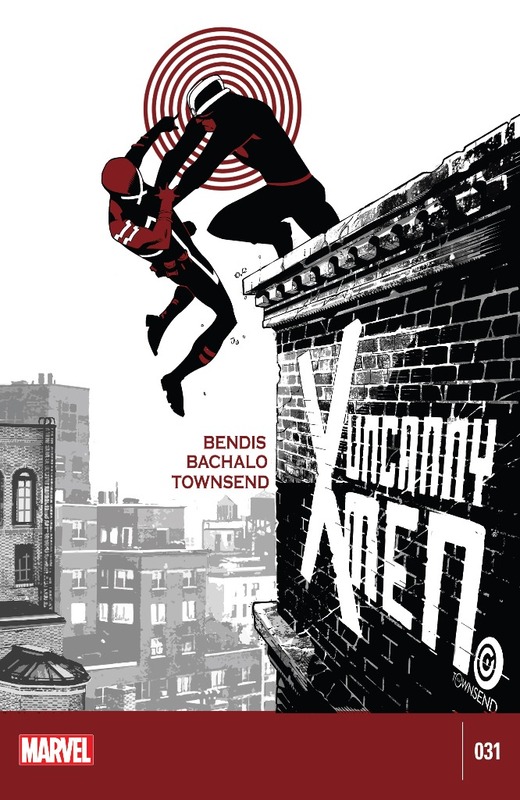 The biggest crippling blow in this issue is the numerous instances where Bendis ignored canon plus his own work. Without spoiling anything lets just say that whatever reason prevents the All New X-Men (O5 X-Men) kids from returning to their timeline gets ignored here. Time travel in the current Marvel U is screwed up and yet here’s Eva Bell blitzing around the timestream. The spectacular bit however is just how a bigger mess the cast are making in the book. Cyclops really ‘waking up’ plus the dialogue about protocols for dead Team Summers teachers excite me as it could be the seed for the long awaited unification of the X-Men. Lastly, eff you Marvel for giving us a cover featuring a fight between Havok and Cyclops and not even giving us a hint of that.